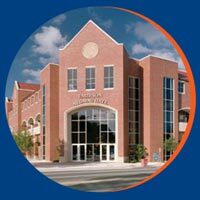 Florida Forward is an opportunity for the volunteer leadership of the Gator Nation to connect, collaborate and celebrate the unreleting spirit of the University of Florida. The three-day event includes conference style sessions for UFAA’s Board of Directors, Gator Club® and Affiliate Group leaders, and a Friday evening reception . As you prepare for your visit, we’d like to provide you with a basic agenda and questions to consider before you arrive. This should more effectively inform your travel planning. A more detailed schedule and agenda will be provided at a later date. Registration for the Florida Forward is now open. One officer will RSVP for all Gator Club® or Affiliate Group officers who will be attending. Be sure to let us know if you’re attending the Friday evening reception, and whether you’re bringing a guest. There is no registration fee for club and affiliate group officers. A group may register as many as 5 officers at no cost. The cost is $25 per additional officer. Our goal is for you to walk away from Florida Forward with knowledge about University Initiatives and with relevant information and best practices. We want you to be able to build and develop the best club or affiliate group that you can and assist UF in support of its journey to Go Greater! The UFAA has acquired a limited amount of UF vs. Colorado State football tickets for purchase by Florida Forward attendees. All seats available are blocked when possible, but not ALL in one block. Tickets are first come, first served. A link to purchase a ticket in the UFAA block will be sent in the Florida Forward confirmation email. Attendees are responsible for any additional meals.